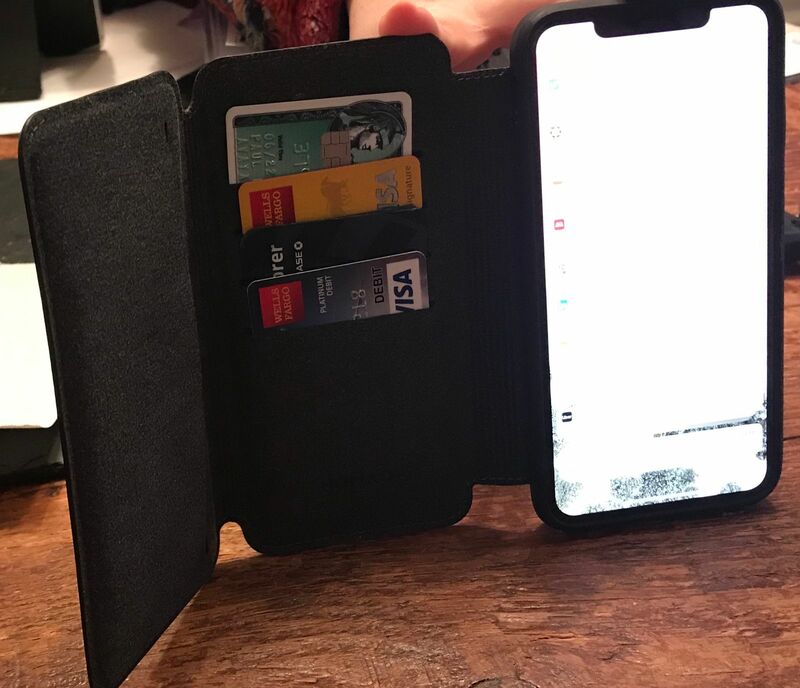 Four card slots with room for six cards total and two large pocket for cash, work ID, business cards and more. Wireless charging compatible with Nomad wireless chargers and other devices. A folio case taken to the next level, with more flaps and even more storage, the new Tri-Folio is designed to completely replace a traditional wallet. Four card slots, two pockets for cash or anything else cluttering your pockets, integrated together with a modern design. Rugged Tri-Folio is designed for maximum protection. Built with a raised TPE bumper bonded to the full rubber body, Rugged Tri-Folio will prevent damage from drops at all angles and protect your screen when dropped face down. Rugged Tri-Folio offers the protection of modern polycarbonate and the classic look of traditional leather. Two large pockets perfect for bills, badges, or any other large items, and four extra deep card slots to keep your belongings in place. Designed to keep everything you need in one place. Robert Z. Reviewed by Robert Z.
nelson m. Reviewed by nelson m.
Well designed and constructed. Wish it was a bit thinner.